As you all know, Nick at Nite launched new comedy Wendell & Vinnie on Saturday, Feb. 16. It technically airs on Nickelodeon on Saturdays at 8pm, since Nick at Nite doesn't start programming on Saturdays until 10pm. The series was originally supposed to air Sundays at 8pm (which is part of the Nick at Nite line-up). Anyway, the premiere delivered 2.34 million viewers and a 0.51 18-49 rating on the Saturday at 8pm premiere and 1.91 million and a 0.32 18-49 rating the next day for the encore. 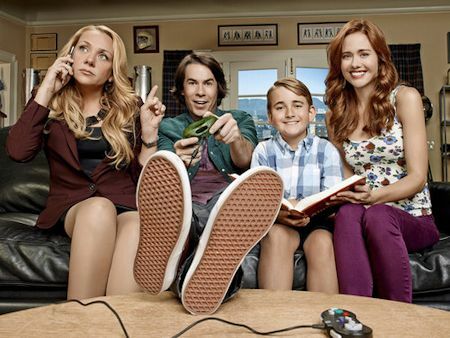 In comparison, the series premiere of See Dad Run on Saturday, Oct. 6 did 1.64 million and a 0.34 18-49 rating. The return of See Dad Run at a new time of 8:30pm followed on Sunday, Feb. 17 with 1.46 million and a 0.26 18-49 rating (down a tad from its 1.53 million and 0.32 18-49 rating average in the fall). The late night encore actually did better with a 0.5 18-49 rating. In week two, the Saturday premiere of Wendell & Vinnie did 2.38 million viewers and a 0.49 18-49 rating, so virtually on par with its premiere ratings, which is a good sign. The encore the next night did 1.72 million and a 0.27 18-49 rating, slightly down from previous week. Week two of See Dad Run followed on Sunday, Feb. 24 with a series low 0.95 million and a 0.18 18-49 rating, while the late night encore once again fared better with a 0.34 18-49 rating. Perhaps it should be aired later like 9 or 10pm. On to scheduling news, Nick at Nite has scheduled a week-long Friends stunt for the week of March 11. The stunt will air Monday, March 11 through Friday, March 15 from 8pm-6am each night (Thursday and Friday starts at 9pm). It's a week-long event with all your favorite friends, all-night! Meanwhile, the movies on Sundays at 9pm will continue in March with National Lampoon's European Vacation this Sunday at 9. Recent movies were Ferris Bueller's Day Off and The Brady Bunch Movie. Upcoming airings are Rugrats in Paris on March 10, Scooby-Doo on March 17, and The Last Airbender on March 31. Stay with us for continued updates. 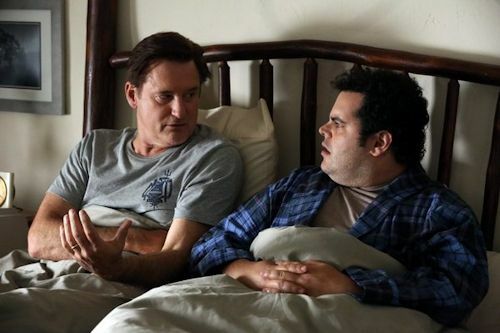 NBC's freshman comedy starring Josh Gad airs Thursday nights at 9:30pm and we have just watched the next episode, that airs tonight (Feb. 28). We also have a recap of the previous week's episode "Skip the Tour" below! In the episode airing tonight, "To The Ranch," when unable to make a decision about who to nominate to the Supreme Court, President Dale Gilchrist (Bill Pullman) decides to take a family trip to their ranch to clear his head. During their getaway, Skip (Josh Gad) finds himself moping over his failed relationship, while Becca (Martha MacIsaac) contemplates major flaws in her own relationship. Meanwhile, Emily (Jenna Elfman) attempts to spend some quality time with Marigold (Amara Miller) and Xander (Benjamin Stockham), who both struggle with their loss of technology while at the ranch. 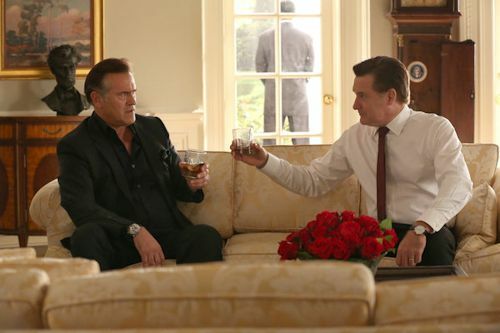 In the previous episode, "Skip the Tour," President Dale Gilchrist's (Bill Pullman) brother Doug (guest star Bruce Campbell) stops by the White House, initiating a long-standing rivalry which threatens their relationship and prompts Emily (Jenna Elfman) to take on the role of peacemaker. Meanwhile, Becca (Martha MacIsaac) prepares for an interview and Skip (Josh Gad) decides to offer his own special version of the White House tour after witnessing one from an official tour guide (guest star Rory O'Malley). Stay tuned in two weeks for our review of the episode airing March 14: "Live from the Lincoln Bedroom," where they start an official podcast of the Gilchrist White House.